Work is expected to start on the Toddlers Playground in the KGV towards the end of February after the half term week. It should be completed by the end of March in time for Spring. The new playground is being built as a result of the recent local appeal which has raised over £30,000, with most of it coming from donations from generous residents. 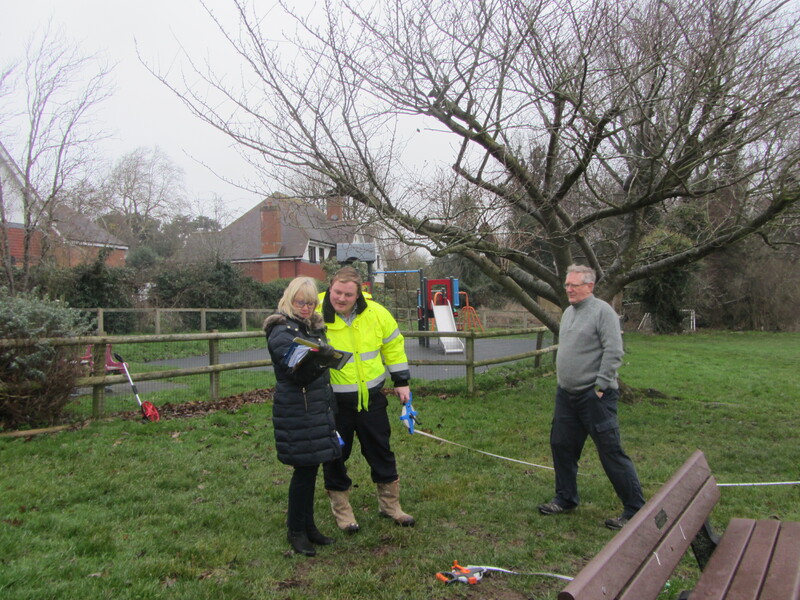 The photograph shows staff from Playdale, the company supplying the playground, visiting to check measurements on the plan.